September | 2013 | First Nations Film and Video Festival, Inc. 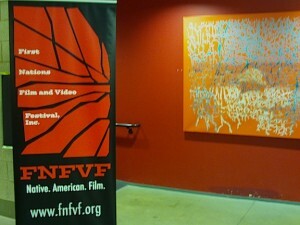 The FNFVF Banner stands proud outside the BAC Theater space for the spring 2013 festival. Friday, Nov. 1 at the Illinois State Museum – Chicago Gallery in the Thompson Center, 11:00am. Tuesday, Nov. 5 at the Logan Theater in the Logan Square neighborhood, 4:00pm. Sunday, Nov. 10 at the Citlalin Gallery and Theater in Pilsen, 1:00pm. Note new date! 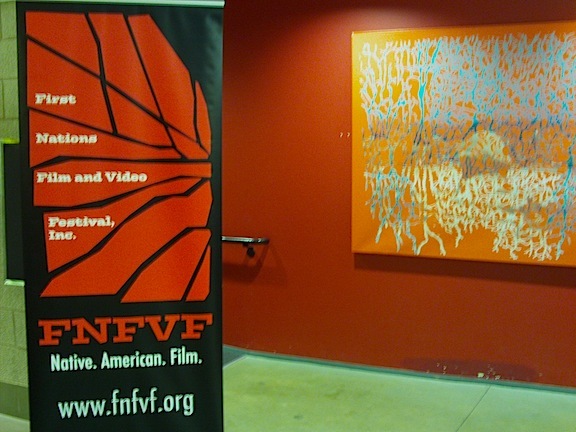 Dedicated to providing a venue for the long-overlooked Native American voice in media since it began in 1990, the First Nations Film and Video Festival is the only festival that deals exclusively with Native American filmmakers of all skill levels. Keep an eye here to see times and film listings.